Fifteen of Australia’s tallest trees have been found destroyed after Tasmania’s summer bushfires, tree enthusiasts say. The Riveaux Road fire in south-west Tasmania burnt almost 64,000 hectares of bush in summer, damaging eucalypts in the Huon Valley area, south of Hobart. Giant tree enthusiasts Brett Mifsud and Russell DuGuesclin have now surveyed the damage. To be protected, trees must be taller than 85 metres, or have 280 cubic metres in volume. 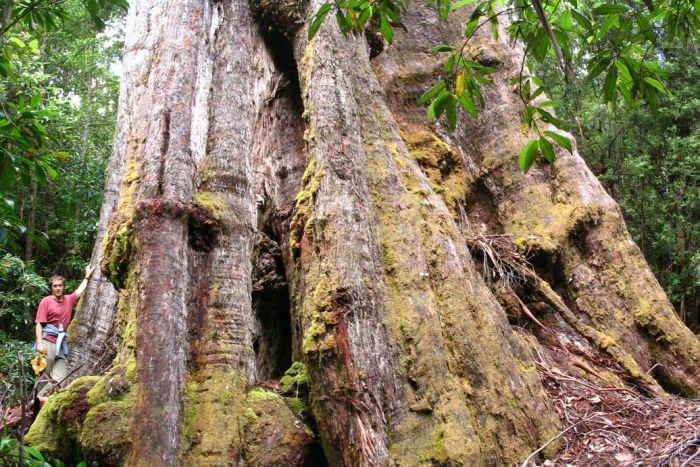 According to Sustainable Timber Tasmania, which manages the state forest, 180 Tasmanian trees meet that criteria. But Mr Misfud and Mr DuGuesclin discovered 15 of those giants had been destroyed.